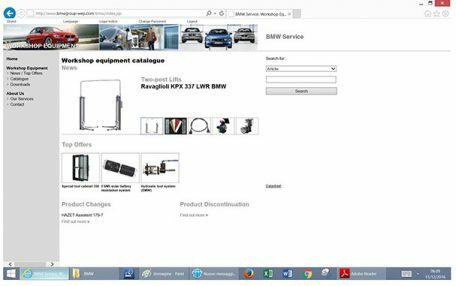 This new version of the successful model KPX 337 WR BMW allows lifting the new BMW 7 Series. As a matter of fact the new 7 Series (G12) has a long chassis with vehicle lifting points that are quite hard to reach. For such reason RAV and BMW AG Germany developed the new model KPX 337 LWR BMW. Columns are installed at a wider distance, offering wider drive through distance and easy vehicle access. Extended lifting arms allow safe reach of BMW vehicles lifting points including 7 Series. Extra low arms profile (min. height 80mm only) are designed also for sport models of BMW series. You may contact BMW AG or Ravaglioli for further information.